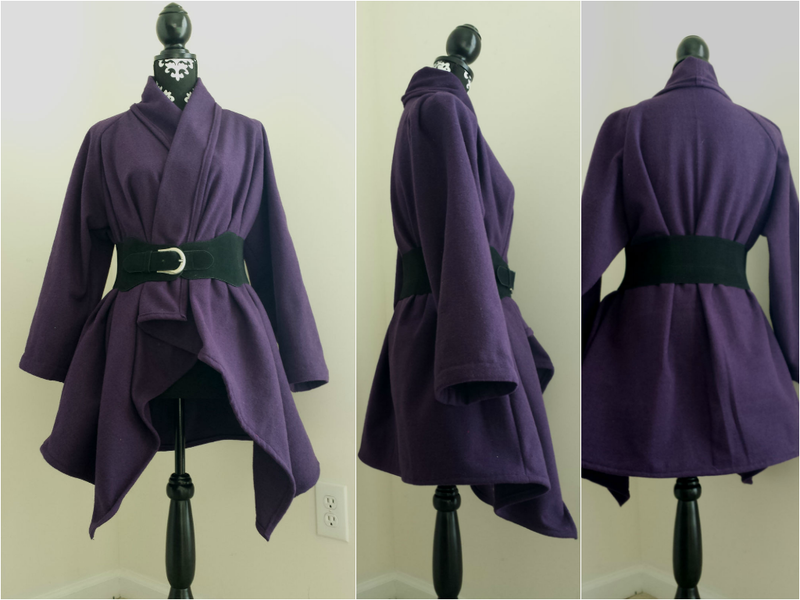 So the super cold weather last week inspired me to make a jacket for the winter. It only took me a couple days to make it and I love it! It’s warm and cozy and can be worn two ways! I think the belt is my favorite. I had a lot of leftover fabric so I’m considering making a matching belt to go with it. Do you have any other ideas of ways I can accessorize this? Please share! 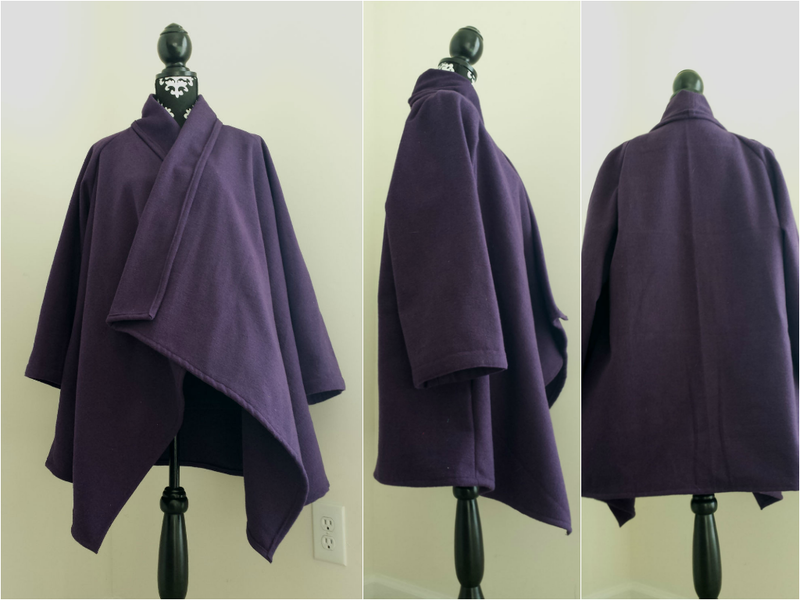 This entry was posted in Clothing and tagged clothing, cold weather, purple, sewing, winter, wool. Bookmark the permalink.